It is clear in scripture that God has limited Himself to work within the prayers of His people. John Wesley once said, "God does nothing except in response to believing prayer." No doubt the secret to how the Apostle Paul shook the Roman Empire was an incredible commitment to prayer. 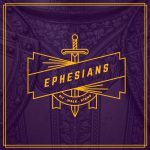 Join us in our study of Ephesians chapter 3 as we take an in-depth look at a prayer of the Apostle Paul. In the church the Lord has not turned non-Jews into Jews. Nor has He turned Jews into non-Jews, but rather he has taken the two and turned them into something that has never existed before. Join us in our study of Ephesians chapter two as we study this new work that God has accomplished. We are familiar with “rags to riches” stories; they make up many of our children’s fairy tails. But what the Apostle Paul reveals to us in Ephesians chapter 2 about the church is that the Gospel is more than a “rags to riches” story, it is the story of Christ alone taking us, who were members of the “wrath” family, who were dead in our failures and rebellion, and by His mercy alone has made us sit with Christ in heavenly places. The Gospel is the story of moving from the grave to the Thrown of God itself.